In Paris in 2015, more than 100 countries, including all the main western European nations, signed up to a commitment to take action to reduce global warming, mainly by reducing harmful emissions into the atmosphere. At that time, before Donald Trump had been elected to the White House, even the US signed the deal. Now, in 2018, the commitment of the US has been put in doubt, with Trump one of the few national leaders sceptical about the merits of the scientific argument and also taking a hostile stance about collective action. Climate change knows no borders and is not protected by any backstop restraint. Northern Ireland must plan for the arrival of climate change that will affect this corner of the western Atlantic. The challenge of global warming is, will average temperatures rise by more than 1.5% within the next 50 years? If so, how much does it matter? Deceptively, this sounds like a gentle, slow change that, along with a warmer climate, might not be unwelcome. The tension lies behind the soft language about higher average temperatures. Expressed in terms of the intensity and duration of severe rainfall, more frequent turbulent weather, a rise in sea levels with peak tidal levels rising by over one metre, and a range of environmental unwelcome changes, these are the threats. In western Europe there is a consensus between governments to support the agreement reached some years ago in Paris. The consensual policy ambitions fall short of agreed operational decisions. Scrutiny of commitments comes through a diverse range of emissions measurements and forms of supportive legislation. Northern Ireland is linked to climate change actions through the direct influence of UK policies as well as local action where this falls to the devolved administration. Evidence from Northern Ireland on the quality of the environment, including air quality, is now collected and published. 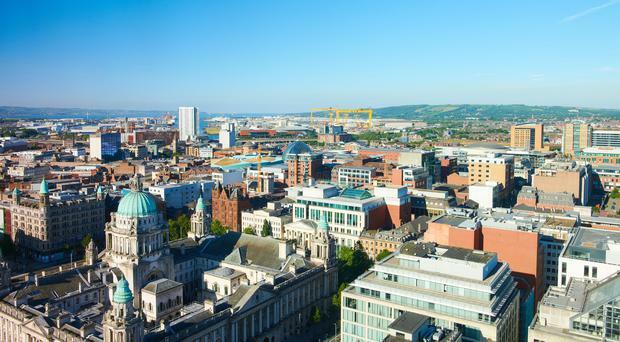 Inner urban areas in UK cities - including Belfast - now show that air quality is worsening and there are concerns that people living in more polluted areas are vulnerable in degrees to medical consequences. Vehicle exhaust emissions now attract interest in comparative performances so that customer choice is encouraged to favour the 'cleaner' vehicles. The not too long-term plan to eliminate vehicles with unwelcome emission levels is now timetabled for the UK. A similar commitment for vehicles in Ireland and other EU countries will follow. Within a much shorter period, the expectation is not that car ownership will decrease (the opposite is more likely) but that cars driven by electricity batteries will become the norm. Houses, offices and factories will all be searching to add acceptable vehicle electricity charging facilities convenient for residents and employees. An important consequence of the changing power used by vehicles will convert into changes in the planning regulations. Will planning authorities add vehicle parking and electricity charging points to the regulations and, if so, with what minimal space requirements? That urgent question now temporarily rests until some form of devolved administration is back in place. Questions about the adequacy of energy supplies for the wider economy loom large. Northern Ireland already has a growing and large source of electricity from renewable sources. Dependence on coal, oil and natural gas remains high but, with appropriate incentivised mechanisms, further inroads into market share from renewables is available. This depends on a regional energy policy framework which, currently, is missing. The anticipation of climate change is opening up a wide ranging debate. The farming industry will attract a sharp focus. How large a fall in the number of cattle allowed on local farms will be needed for farm emissions to be acceptable? If the Chancellor of the Exchequer is listening, he will need little persuasion that duty on diesel and petrol should be increased. The French are tackling that unpopular question. Disincentives to deter emissions are as important as any form of moral persuasion.